Poznań–Ławica Henryk Wieniawski Airport has further developed its partnership with ParkCloud, giving passengers access to online pre-booking for more of the airport's on-site parking services. Started in summer 2012 with the launch of reservations for the airport's P5 parking area, the partnership between the two companies has produced hundreds of bookings for the long term parking service to date. Located just 400 metres from the airport terminal, P5 offers a total of 480 secure spaces. As an international provider, collaboration with ParkCloud offers services in over 20 languages, and access to the company's range of partners. For Poznań Airport, this meant that online bookings for their parking spaces were presented not only in Polish, but also in English and in German. P5’s services were also made available to passengers flying from Poznań with low-cost carrier Wizz Air, through ParkCloud's exclusive partnership with the airline, and the website WizzParking.com. Following the popularity of online bookings for P5, Poznan Airport chose to add its P1 car park to services available to customers online in February this year. P1 offers over 220 spaces for short term parking just a minute’s walk from the terminal, ideal for short business trips or weekend getaways. 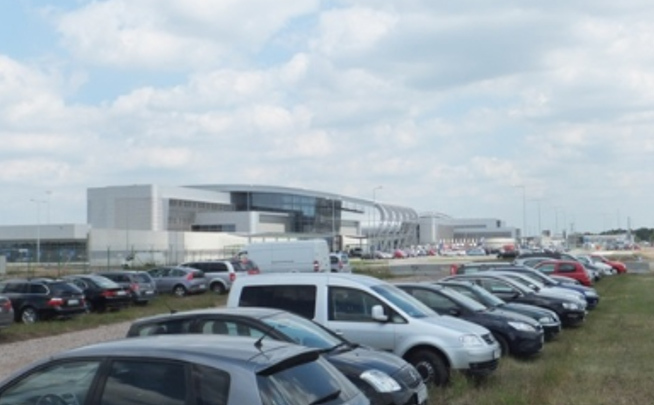 The car park's service has also been made available in English as well as the airport's native Polish, with a view to marketing it through airline partnerships in the future. Along with access to both P5 and P1 through ParkCloud's systems, Poznań Airport have added optional extras to the online reservation process: Fast-Track security is offered for free to all customers making a reservation ahead of their journey; and access to the Business Executive Lounge can now also be pre-booked online. Overall, collaboration between ParkCloud and Poznań Airport has flourished since its beginnings two years ago. Both companies continue to profit from increased demand for parking reservations from travellers, and hope to continue expanding Poznań's online offer over coming months, both in terms of parking services, and ancillary ones.